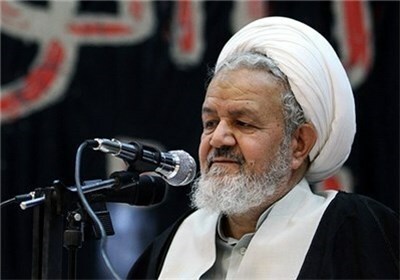 FNA – Iranian Supreme Leader’s representative at the Islamic Revolution Guards Corps (IRGC) Ali Saeedi blasted the US for adopting a profit-oriented approach towards terrorism, referring to the US Congress bill to sanction a number of Iraqi popular forces. “The US shows the same behavior towards all streams which are not in line with its interests,” Saeedi said on Sunday. “Principally, the regime ruling the US has a double-standard definition of freedom-seeking groups in the world; the Americans help any stream which accompanies Washington and accepts the White House’s hegemony, and on the other hand, if certain groups resist again its hegemony, the US shows such a behavior and calls them terrorists to impose its own definition to the world,” he added. “They know that the US aims to gain power, materialize its interests and meet the demands of capital holders,” he said. His remarks came after media reports said that the US congress is studying a bill which sanctions Iraq’s Hezbollah al-Nujaba, a major Iraqi Shiite resistance movement fighting the ISIL, designating it as a terrorist group. The move was made after Iraq’s Al-Nujaba popular movement warned the American military men deployed in the country against their continued presence. “If the Americans don’t leave Iraq, al-Nujaba will respond to them with weapons,” Spokesman of the movement Abu Wareth al-Moussavi was quoted by the Arabic-language al-Nashrah news website as saying earlier this month. “As we have fought for the establishment of Iraq’s sovereignty, we will use our weapons to confront the occupiers too,” he added.